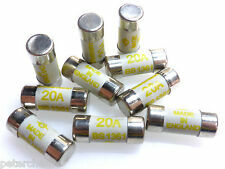 We have sold 1000's of these fuses and never had any issues, they do exactly what they are designed to do. Suitable for use in cookers, hobs, small upto 7.2kW showers, socket circuits etc. Suitable for use in cookers, large showers circuits etc in fuse boxes. QUICK BLOW glass fuses. 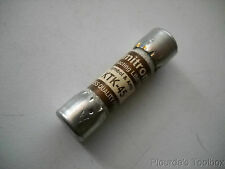 6 x 32mm, 250V. sheets 1 and 11. All goods have a 1 year warranty manufacturers warranty (unless otherwise stated) with the exception of goods which are classed as “Consumables”. A standard UK plug-top fuse conforming to BS1362. Complies with BS1362, IEC 269-3A. 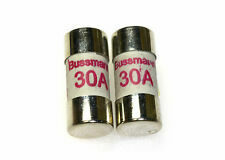 Bussmann type C180-10A. During that process you will be issued with an RMA number. 5.2x20mm Horizontal PCB Fuse Holder. 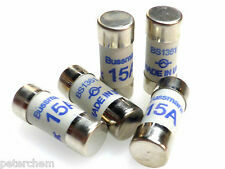 A 16A Class aM cylindrical fuse suitable for industrial applications. 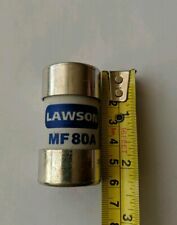 Cylindrical fuse links. During that process you will be issued with an RMA number. Size: 5 x 15 mm (2AG). Fuse Size / Group: 2AG (5 mm x 15 mm). Product: Glass Fuse. Resistance: 69.8 mOhms. Length: 14.48 mm. Mounting Style: Board Mount. BS1361 British Standard. For Lighting Circuits, Smoke Alarms, Door Bells, Boiler Circuits etc. 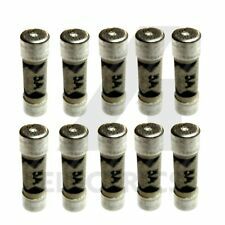 10 x R3-12E Black 20mm Panel Mount Fuse Holder 10A 250V. CAUTION: Turn off power before removing or installing fuses. Locate and correct cause of fuse opening before replacing fuse. Notice that these are not the typical FRN fuses. SC-15 = 15/169. QUICK BLOW glass fuses. 5 x 20mm, 250V. sheets 1 and 11. Pro Audio & Lighting. All goods have a 1 year warranty manufacturers warranty (unless otherwise stated) with the exception of goods which are classed as “Consumables”. Includes Free 3 Amp Strip Connector. We are passionate about giving you as much information as we can to ensure what you are ordering is correct and will fit your vehicle. We understand that when a part fails on your car you need it fixed straight away without any delay. Size 10x38mm. Class aR cylindrical fuse. Manufacturer's part60 033 05 30. Images shown are for demonstration purposes. Standards IEC, UL, VDE. A standard UK plug-top fuse conforming to BS1362. Complies with BS1362, IEC 269-3A. Bussmann type C180-1A. During that process you will be issued with an RMA number. 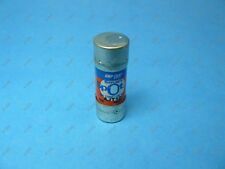 Lot of 10 Buss GMT-3 Alarm Fuse 3 AMP 125vac, Fast Blow - New!